Friday Recommends • GiveawayWin A #Free #Book ! 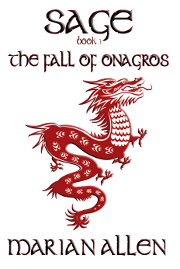 The dear, good, folks at the Google+ Community of Readers Meet Authors and Bloggers are spotlighting me (or, rather, The Fall of Onagros, Book 1 of SAGE) this month. The Spotlight includes a Rafflecopter giveaway, which you can enter here or on any of the blogs where I’m featured. A WRITING PROMPT FOR YOU: A character enters a contest. This entry was posted in Friday Recommends, Giveaway. Tagged free book. Marian, the linked book review of Sage, Book 1, is excellent and well-deserved. Congrats on the 5 Stars!